HomeofShanghai Housing is looking for an experienced high-level Search Engine Optimization (SEO) Specialist to join our growing team. We’re seeking candidates who can bring their own SEO skillset from years of experience working in the search industry. 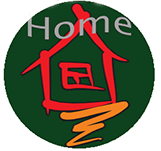 At HomeofShanghai Housing we’ll put you driver’s seat behind the SEO strategy of our three brands. You’ll focus on in-house managed link building, content strategy, technical SEO, PPC campaigns, conversion optimization and more. The right SEO will work with development, creative and the inside sales team to help us crush our competitors in the SERPs. – Link Building: Develop and implement scalable link building campaigns. – Content Strategy: Build an editorial calendar of quality content that serves a purpose for our customers. – Content Amplification: Promote content via paid media, owned media, outreach and more. – Technical SEO: Responsible for things including but not limited to HTML/CSS issues, sitemaps, structured data, site speed, etc..
– Revenue Diversification: Constantly test and monitor the impact of non-search engine marketing channels. – Marketing Analytics: Foster a proficient understand of leads and which events influence whether our leads become customers. – Collaborate with 3rd Party Agencies / Freelancers: Work with 3rd party design, content marketing and development agencies to keep our brands fresh and ahead of the curve. – Minimum 3-5 years experience working in Search. – Proven track record of developing and implementing SEO strategies. – Proven track record of increasing organic traffic to a site. – Extensive experience with Google Analytics.